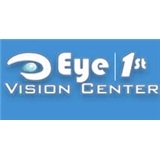 Eye 1st Vision Center (Sandy Springs) - Book Appointment Online! At Eye 1st we strive for excellence in providing for your complete eye care needs. Offering the latest technology, we provide the best care and management of functional vision abnormalities, eye diseases, eyeglasses and contact lens needs.